Which Infection Control Approach is Best? Laundry plays a vital role in every healthcare facility’s integrated infection prevention and control program. Patients are literally surrounded and exposed to yards of healthcare textile fabrics. 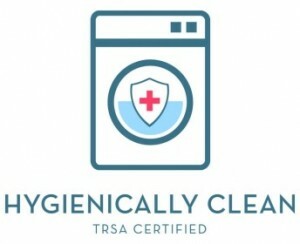 Recently several “white papers” have been written on the subject of laundry best practices to support infection prevention activities with the goal of improving patient outcomes. Each has a different perspective on the best methodology to achieve this important goal of providing hygienically clean textiles. In this document, we will review these varying approaches from HLAC, Hygienically Clean and a national competitor, providing our perspective on the issues each raise. U.S. healthcare authorities are recognizing the value of outcome measures as opposed to structural and process measures and this trend has extended to laundry. 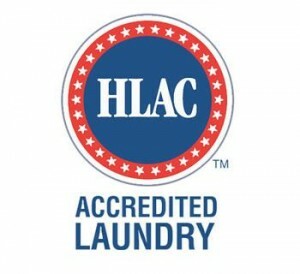 This national competitor believes launderers must go beyond HLAC accreditation or the “nebulous” hygienically clean designation and introduce EPA registered sanitizers and bacteriostatic products into the laundry cycle to increase the infection prevention properties of the treated textiles. This use of newer products goes beyond hygienically clean to sanitize which means that a 99.9% reduction in bacteria has been achieved. This definition is set by the EPA and can be used universally throughout the industry. These products provide residual bacteriostatic activity against Gram Positive and Gran Negative bacteria. This means bacteria introduced to the textile will be isolated and its growth slowed. This will minimize the potential transmission of infectious diseases while the textiles are in use. 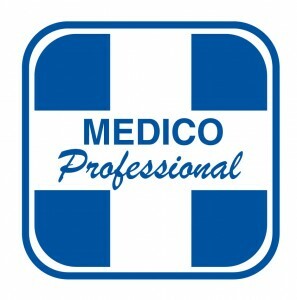 Medico finds merit in all three methodologies. Each provides very salient points that we believe aid us in providing hygienically clean product to assist healthcare facilities in their infection control program. We have found it difficult to choose among the three approaches. While HLAC, Hygienically Clean and the national competitor all take an either / or approach, we have chosen to look at the issue from an and / also perspective. For your assurance, Medico is HLAC Accredited and also Medico is Hygienically Clean certified and also Medico uses EPA registered sanitizers and bacteriostatic products in its wash process. We believe following all three protocols rather than choosing one will lead to the best possible outcomes for our healthcare clients.